Offering automotive solutions, measurement solutions etc. Also deals in tyre pressure monitoring system, electrical checkout system etc. Supply of automation hardware, field devices, sensors, cables, cable trays, installation material, etcâ€¦. We have a growing strong team of more than 350 engineers. Write the Functional Design Specification . Write and test user software. 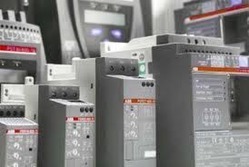 Please refer LV SCADA for types of Electrical SCADA systems we provide. Please refer Domain for our domain knowledge. Automation IT provides the bridge between shop floor (Machines & process) and MIS systems. Automation IT thus makes the data exchange between the shop floor and the top floor a reality. It also provides individual standalone automation, which cannot be fulfilled by PLC systems. 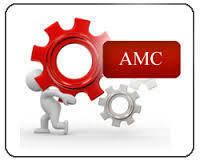 We integrate automation systems with SAP, ERP or any centralized database like SQL Server. Our application software communicates with the PLC using OPC DA and AE servers, activex controls or dynamic link libraries and stores the data and alarms from the PLC into the database for any time analysis. 2. To increase traceability, productivity, and quality by monitoring TACT and time losses. Application integrates SAP and barcode scanners. This application is developed in VB and SQL Server. OPC is used to communicate with PLC. Application software on the redundant servers in cluster configuration is developed in visual basic 6.0 to access online alarms, events, and data from the energy meters. More than 20000 tags are archived in SQL Server 2005. Online and historical trends and reports provided for analysis. A fully automatic line comprising an assembly station, four test stations and one QA station for testing phase modules. The type of the module is identified by the barcode scanner at each test station and its test parameters are automatically loaded in PLC from the central SQL Server. IEEE 488 GPIB Interface is used to transfer the test parameters from the server to the C & Tan D meter and to transfer the test results from the meter to the PLC. An application developed in VB used an activeX control (micro-computing) to communicate to PLC. Fox Veri-Mac 1.0 is the fastest MCB Thermal trip verification machine -1800 poles / hr designed for only one operator. The SCADA of the machine was developed in Visual Basic and SQL Server. The protocols used were OPC and IEEE 488 to communicate with PLC and current sources respectively. 0.04 micron wire drawing and enamelling at the maximum line speed of 1400 mpm. The HMI Application communicates with two PLCs on MPI network using OPC. This application is developed in VB and SQL Server. The test parameters for all capacitor testing machines are centrally managed. Depending upon the type of the batch running at each machine its test parameters are automatically loaded in its the C & Tan D meter from the central SQL SERVER database. The production data is collected from all the capacitor testing machines into the database and then consolidated reports including Bell curve are made available on the server application. The HMI of all the client machines and the server is developed in Visual Basic. IEEE 488 is used to communicate with the C & Tan D meter. Please click Automation IT to see the detail information of Automation IT projects. 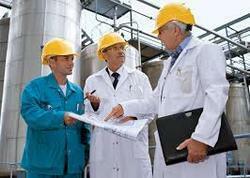 We have a team of more than 150 trained commissioning engineers. Worldwide engineer deputation for software development and commissioning of Automation systems. 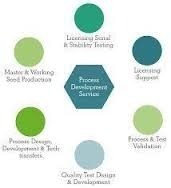 We have done on site software development and commissioning jobs in USA, UK, Dubai, France, Ivory Coast, Malaysia, Korea, Australia, Thailand, Saudi, Singapore, Spain, China, Bahrain, Iran, Nigeria, Oman, Bangladesh, Jeddah, Italy, Indonesia, Turkey, Bhutan. Please visit Technical skills to check out our technical expertise span. Over the last twelve years the FOX group has emerged as one of the best system integrators in India. Knowledge has emerged as one of the most important development resources and full utilization of knowledge has dramatically accelerated our development over the past few years. We have ported the software off shoring model to Industrial Automation. Companies in Europe / USA would like to set up their base in India to tap good technical expertise for Industrial Automation. Costs are extremely low. Setting up base in India is a major task. 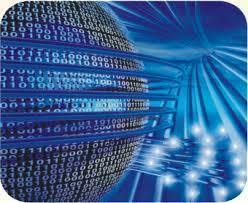 FOX has technical expertise in executing Automation Systems in various domains with a team of 200 engineers. FOX has the expertise and the proven scalable model of setting up technically competent teams. 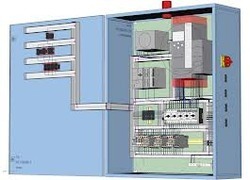 FOX provides dedicated, experienced CELL to handle automation projects for each client company. Zilch set up costs. Ready infrastructure and team to quick start engineering and software development activities in India. Domain expertise available in Chemicals, Cement, Water Treatment, HVAC, Food & Beverages, Packaging Machines, Paper, Power Generation, Power Transmission, CNG Compressor, Automobile Lines, Automation IT, Oil & Gas, Pharmaceutical, Material Handling, Airport Baggage Handling, Burner Management Systems, Sugar, Textile, Polyester. Each cell consists of generally 8 â€“ 15 engineers + Cell head. 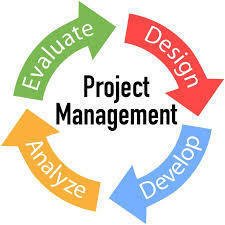 Every cell head is responsible for the project management of his projects. Cell concept is modular and scaleable. Cells allow key accounts and confidentiality to be handled very effectively. All the advantages of a development center in India without building own infrastructure. INDIA DEVELOPMENT CELL works as an extension of your team. Use FOX resources, expertise and infrastructure for own development. No deputation cost for human resources in India for the infrastructure development. Deliver Top End technological Solutions to your clients. Deliver extremely cost effective solutions to your clients. Commissioning expertise and availability â€“ worldwide. Cells or group of cells are exclusively assigned to a single client, hence confidentiality can be easily maintained. Field layouts for cable trays, field elements. Manufacturing unit with capacity of more than 80 panels at a time on the shop floor. Our expertise includes design engineering, building and assembly of control cabinets,control desk, junction boxes, stainless steel panels, special boxes, flame-proof enclosures and pneumatic panels. Our Panels are self CE Certified. Please refer LV Switchboards for more information regarding LV Switchboards. We have a technically qualified team for installation and installation supervision. 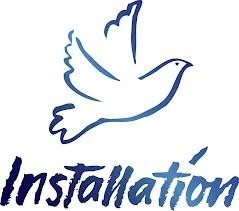 We do installations around the world. Phase 1: Appointment of a Fox Project Manager. Ensuring technical performance of the project. Co-ordinate with the respective FOX departments (system planning, configuration, installation, commissioning, manufacturing, etc.) and sub suppliers. Single window for End Client, Client, Consultant, Vendors and Fox Team. Perceive and eliminate hurdles in advance. Phase 2: Start-up of the project. Gets the grip of the project. Fixes â€œexecution rulesâ€ together with the client, which describe directives for basic execution.